The concept of conversion optimization is very valuable to online marketers. To understand what this term means, let us first discuss the importance of online touchpoints. A touchpoint, in business terms, is a medium where the customer first engages with a business, gets to know about it or explores its product offering. The importance of a touchpoint is paramount because it gives the audience a first impression about a business – how well it receives, engages and attracts them to take action. 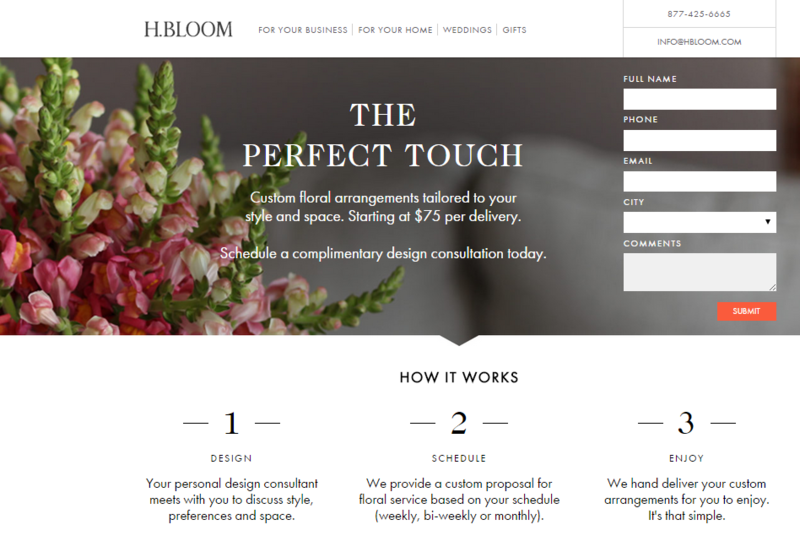 One of the most primary consumer touchpoints is a business’s website. Every online business first develops a website that gives information about the business to those who are interested. A fully functional business website is an interactive channel that lets customers explore the business and get in touch with it. Therefore, a website is the face of a business in the virtual world and the better it looks, the more it attracts. Conversion optimization or conversion rate optimization (CRO) has to do with corporate websites. How well these websites are geared to attract customers is what CRO determines in a very unique manner. What is CRO and how does it work? These details will be discussed next. However, do remember that CRO is a well-balanced qualitative and quantitative assessment that is used by expert online marketers to make sure their promotional efforts yield positive results. Conversion optimization is a process particularly used by websites, forums and landing pages. To define this term fully, let us break it down. Firstly, conversion is the specific action you want your web visitors/browsers to take. What kind of action could this be? Next, conversion rate optimization refers to the rate at which visitors, browsing your website, convert to customers. In other words, CRO aims to bring about required action as a result of passive web browsing. Therefore, CRO is a systematic method to improve the performance of your website to increase the rate at which action is taken. Website performance is an accumulation of many factors, called key performance indicators. These indicators are responsible for attracting traffic to the webpage and interesting visitors enough so that they browse through. CRO can be applied to all or any one KPI that is determined to be underperforming. From the customer’s point of view, CRO is used to figure out what users and customer want to see on the webpage, what entices them to take action and what they believe is lacking on it. The carefully calculated and analyzed results of CRO are then implemented to make these changes. Using information from these sources, CRO brings about required changes by keeping in mind the objectives you have set for the website. For instance, if all you want users to do is create an account, CRO will aim to increase the chances of it happening, instead of introducing a completely new objective. Conversion rate optimization is then a strategy, a plan of action that changes the perceptions of the audience about a website by giving it what it needs to take action. In this light, CRO is a very comprehensive approach that includes even the smallest alterations made to a webpage. It can be either the positioning of the call-to-action button or completing restructuring the steps of a recruitment process. CRO comes in play when a business feels that something is stopping potential sales leads from converting. Such a situation arises when you record heavy traffic flow on your forum, but only a handful take an action. Moreover, behavior patterns of consumer groups vary widely from one channel to the other. Online marketing response rates fluctuate one hour to the next and most of the times, from one offer to the other. Very aptly put, CRO is a combination of art and science. The science comes from knowing which changes to initiate, which KPIs to measure and how to run tests to see the effect of a particular change. On the other hand, the art comes from making the website aesthetically appealing to visitors, designing attractive call-to-action buttons and the best feedback routes to engage customers. There are many things that do not define CRO, but are wrongly affixed with its definition and understanding. As mentioned previously, CRO is an analytical process that takes into account solid feedback and important details of KPIs of the website and the business. Since conversion optimization is a combination of science and art, there are many jargons related to this online marketing assessment methodology that need to be understood to make sense of CRO. Most of these terms are a repeated occurrence in CRO related discussions because without them, the process of conversion optimization may be rendered incomplete. If you were familiar with how websites are created, you would know what CTA buttons are. As the name suggests, call-to-action buttons are the highlighted buttons or links on a webpage that let you perform an action. For instance, a ‘Buy Now’ button on an e-commerce website that converts you from a surfer to a customer falls under this category. CTA buttons are of all shapes, colors and sizes, depending on what the need is, and depending on the nature of the market the website is targeted towards. Some popular examples are ‘Register Now’ buttons, ‘Sign Up’ buttons, ‘Book Now’ buttons and ‘Download Now’ buttons. The conversion flow is the path taken by visitors from when they visit your website until the action is taken, i.e. conversion takes place. For an e-commerce website the conversion funnel will be the following path: homepage – search product – product page – checkout – payment. Knowing the conversion funnel for an action is very important because all changes and improvements are then made to the various elements of the funnel during the CRO process. A/B testing is a statistical approach to CRO that takes into account two variables at one point in time. The effectiveness of both, A and B, is then gauged when customers respond to online marketing tactics and conversion occurs on the website. Here, A and B are two versions of the same design, with slight changes to determine their effect. A/B testing is usually done in a controlled environment, with one variable being the control. A very simple example of A/B or split testing is to see the response and conversion rates when the call-to-action button is changed from red to green or vice versa. Multivariate testing is an essential component of CRO. A test that is applied to the various Key Performance Indicators, multivariate testing analyzes various elements by suggesting a number of variations and combinations. It determines which of these combinations would work best for a website and increases the conversion rate. MVT uses statistical hypothesis testing on websites to make CRO authentic and reliable. With this technique, more than two variables of a website can be tested at once on the same page. Everything from landing page images, content and checkout forms to the font and color of texts can be tested with MVT. In short, it would be correct to say the MVT is synonymous to running multiple A/B tests at the same time. Landing page is an entry point for the visitors. It is the page, which is shown in the search engine results when the user performs a search query. Once the user clicks on this page, the user enters the website and lands to the page called a landing page. This term refers for both organic and paid searches. In addition, other sources may direct visitors to the landing page, such as social media updates, emails, event invitations, etc. The importance of landing page is that it has great possibility of generating conversions. If your landing page resonates well with website visitors, it will result in inspiring interest in your business and it will engage the visitors. Otherwise, poorly designed landing page will result in high bounce rate, and the visitors will unlikely return to your website. Once you have the background knowledge about CRO, the next step is to go in detail about the elements that make up this concept and the calculations/statistics that are involved. Being an essential barometer of online marketing success, conversion rate optimization is taken to the next level by expert analysts who want to yield as much information as possible from this metric. Therefore, though simple, the CRO assessment is combined with various other measures, making the entire process one that can only be tackled and understood by experienced professionals. For the purpose of basics, we will study the CRO calculation in its simplest form so that readers can grasp this idea easily. The presence of a data warehouse is necessary for CRO. The platform that conducts this assessment first gathers data provided by customers and third party representatives. Once this data is gathered, it is processed to make sense. Relationships between variables on a website are developed and the strength of each is measured. A screening method is also used to drop irrelevant data before A/B testing and multivariate testing are used. After adequate data is collected, a hypothesis is to be made. This hypothesis justifies why the change is needed and what the result of the change will be. Before starting this step, it should be kept in mind that the hypothesis must be measurable so that conclusions can be drawn. How much optimization do you want? What is the time duration for this improvement? How will it be tracked and measured? These are some important questions that website owners need to answer. 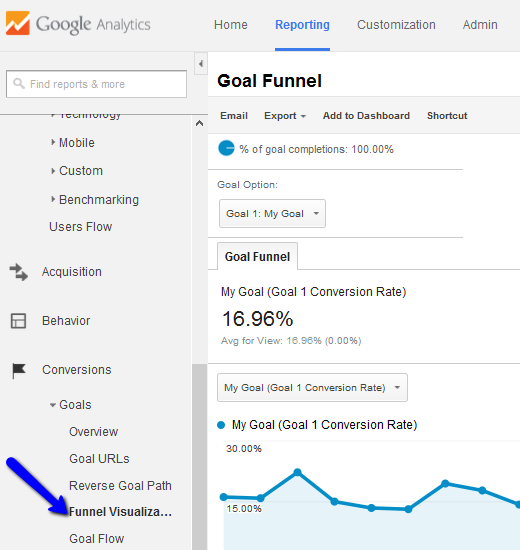 Optimization goals lay the foundation of the CRO strategy. It should be remembered that optimization goals should strictly be in line with business goals because the former help in achieving the latter. The most basic optimization goal is to increase conversions. Later, this goal can be expanded to increase revenue and viewership. Next, an optimization strategy is put into effect. Once all the groundwork is done, this strategy will focus on achieving the goals set, and making the online marketing efforts of the company worthwhile. Now for the quantitative part. The numbers related to CRO are derived by website analytics that are used on the internet. These analytical tools monitor traffic on the website and keep a track of how many customers report an action and those that only browse passively. Therefore, to calculate the CRO, we will assume that the website is functioning normally and has all the necessary tools in place. To make use of the optimization strategy, you first need to know what the current conversion rate on your website is. Your current rate can be calculated using the following figures. Total Conversions: This number is the actual quantity of customers who visited your website and recorded whatever action was required of them. 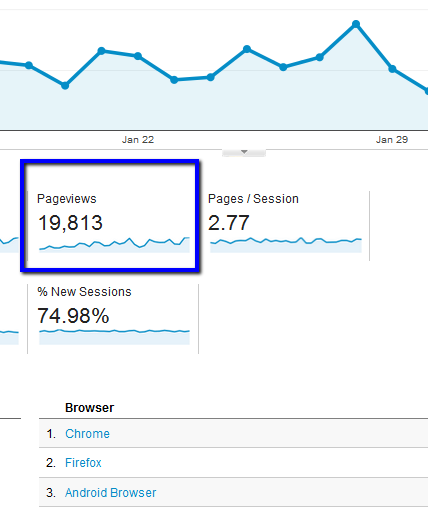 Total Views: The total views is the number of people who have landed on your website, regardless of whether they took an action or not. This statistic would ideally be a bigger number than total conversions. So for instance, if the number of total views is 5000 and the number of total conversions is 50, the CRO turns out to be 1%.While the calculation for CRO is simple, and so is the resulting answer, what does this number mean? What is the ideal CRO? How does this CRO compare to industry average? Is it enough to have a CRO of 1%? If not, how can this be improved? Like any other metric, the CRO percentage alone does not make much sense, nor is it useful to a business. Only when this number is compared, contrasted and gauged, against an ideal or a benchmark, does CRO start making some sense for online marketers. Within this topic, two of the most important concepts related to CRO will be discussed. Without these, your website’s CRO is only a figure that can neither be improved nor put to use. Expert analysts are often hired to work on increasing a website’s CRO to attract more business. When these experts compute the forum’s conversion rate, the first question managers ask is whether this CRO is the best in the industry. How do you tell if it is? The best or ideal percentage of conversion rate is often considered to be nonexistent. Since CRO varies from website to website, offer to offer and business to business, there really is not a benchmark to look at when it comes to improving this rate until a fixed point. The biggest reason why such a standard is an illusion lies within the formula used to calculate CRO. Take a look at the equation again. Now consider this: If you are using pay per click as an online marketing technique to promote your website, and for every click, you pay $1 in expenses, you could be recording an impressive CRO of 10%. However, if every action only leads to a profit of $2, the high CRO is not of much value, is it? This is the reason why the CRO measure is relative for every industry and highly depends on the cost and profit structure your business follows. Which one do you prefer? From the look of it, the first choice yields the highest CRO so it should definitely be the winner. However, according to experts, the third option is the one that is likely to reap the most results in terms of online marketing because having 5000 visitors daily and a 1% CRO means getting 50 conversions. However, with 100 visitors a day, as in the first option, only 5 sales are recorded. Therefore, it is obvious that defining the best or the ideal CRO is rather hard. It depends on various factors that are different for every website and every industry. Nonetheless, for comparison’s sake, an average of 2%-3% CRO is often considered good for a company that is looked upon as reasonable by the market. Many rates and measures should be considered in conjunction to CRO when the time comes to analyze and draw a conclusion. Since these metrics support and clarify the conversion rate, they help in making sense of a percentage that would otherwise be hard to decipher. The following four measures are all concerned with increasing viewership and revenue on websites. Hence, they help analysts in understanding what the CRO represents. The bounce rate is a percentage representing the number of people who leave a website after viewing one page. This means that when passive surfers land on your home page, they do not find it attractive enough to go through in it detail. They leave immediately, resulting in a high bounce rate – something that is highly important to address if you are to improve the CRO. While the bounce rate is for the entire website, the exit rate is particular for each page. A high exit rate for one page signifies the percentage of people who leave after viewing this page. This indicator gives analysts an insight into the last page a visitor viewed before leaving. 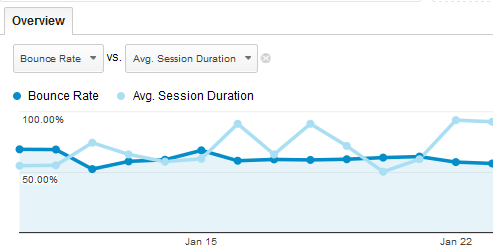 Average time on site is the opposite of bounce rate. This metric represents how long viewers stay on your website on average. If the bounce rate is high, then the average time on site will be quite low, meaning that visitors are not staying long enough to perform an action. The measure of the average time on site is part of engagement metric. The average page view indicates the number of pages viewed by browsers on average. This measure needs to be kept under check because a high average page view can signify two things. One, that visitors are engaged and find your website attractive, and second, that there is too much confusion in the conversion funnel on your webpage, which is why viewers are roaming around the forum without registering any action. A high CRO results in better return on investment (ROI). Let us not forget that you are paying a hefty amount for large-scale internet advertising and for the upkeep of your website. If this investment yields low return, you are essential incurring a low on marketing expenses. With a high CRO comes a possibility of higher sales, which make for an acceptable ROI. A high CRO is better than finding more viewers. While it may be easy to increase CRO, it is certainly an uphill task to get more viewers on your page because intense marketing needs to be done for the latter. Therefore, working on improving CRO is more cost-effective than increasing visitors to your page. A high CRO gives customers what they want. Remember, from the customer’s perspective, a high CRO means finding the exact buttons, links, images, and content they want to see on their favorite website. Therefore, CRO is directly linked to customer loyalty and repeat purchases.